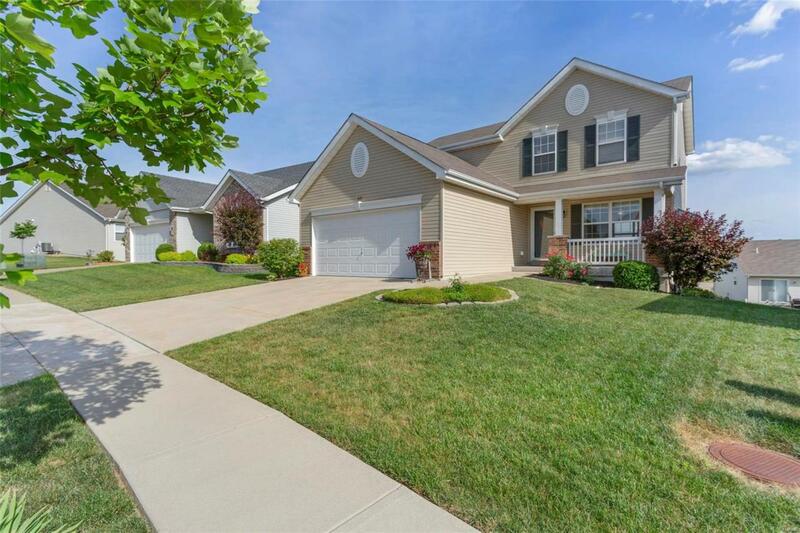 This cute 3 BR 2.5 bath 2 story in popular Bellemeade is waiting for you! 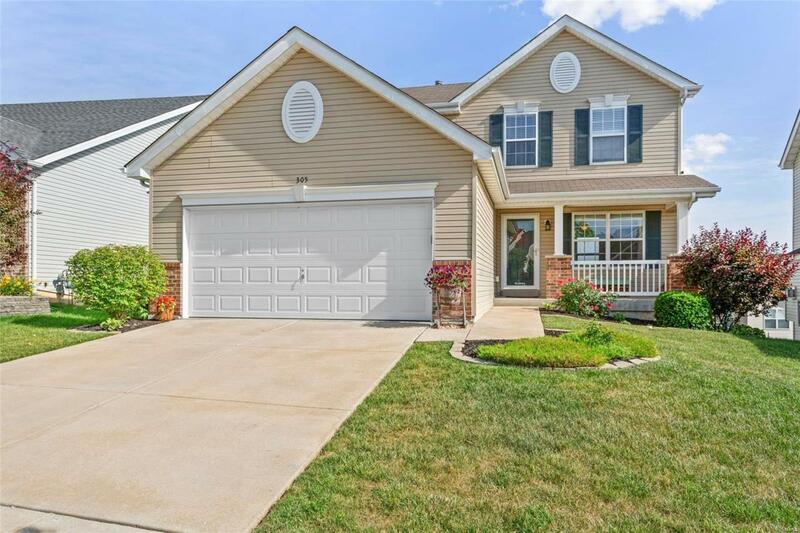 Great curb appeal greets you as you cross the covered front porch to enter. An extra large family room has a gas fireplace with marble surround just waiting for family gatherings. The beautiful kitchen has upgraded oil rubbed bronze lighting, wood cabinetry, nice sized island with breakfast bar and newer black appliances. The breakfast room has access to the deck via a sliding door. 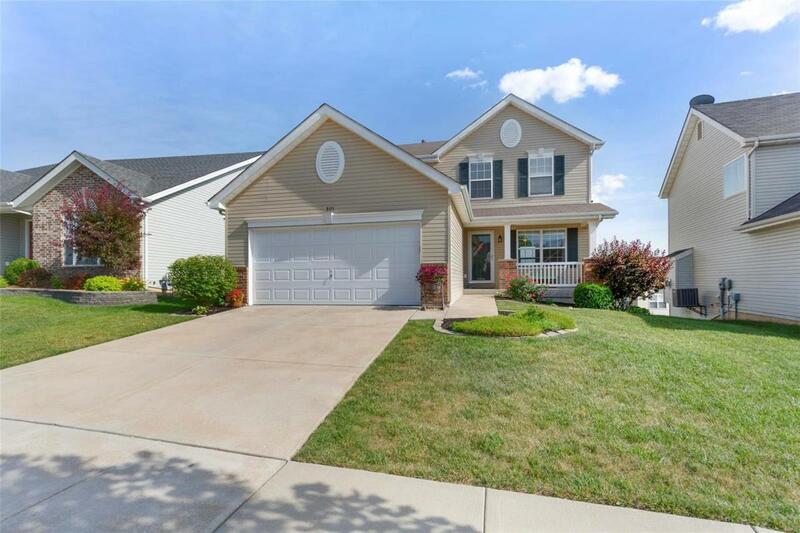 Tons of storage space throughout this home including a large pantry. 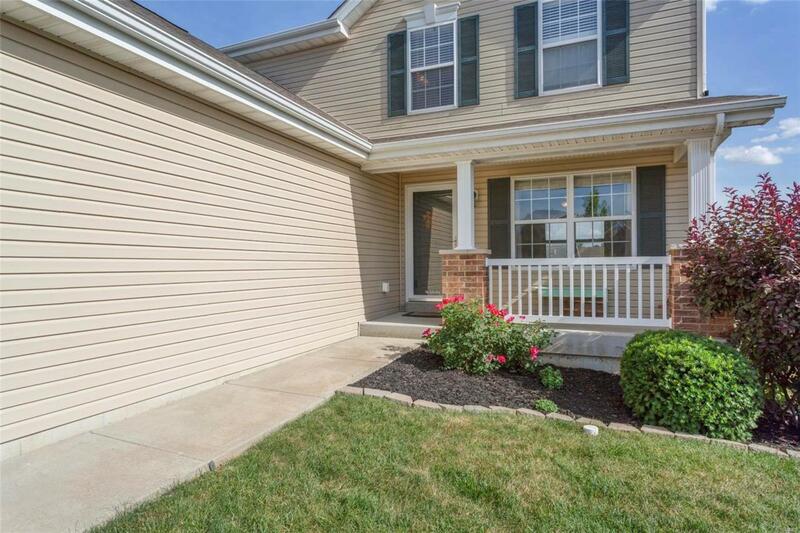 The half bath is conveniently located near the door to the garage. Upstairs are 3 bedrooms, 2 full baths and the laundry. What a luxury! The master features a garden tub/shower combo. Outdoor entertaining will be a snap with the good sized deck or the spacious patio downstairs. The unfinished lower level has extra windows and bath rough-in just waiting to be finished. Level lot for play. Close to everything off Mid Rivers Mall Dr.